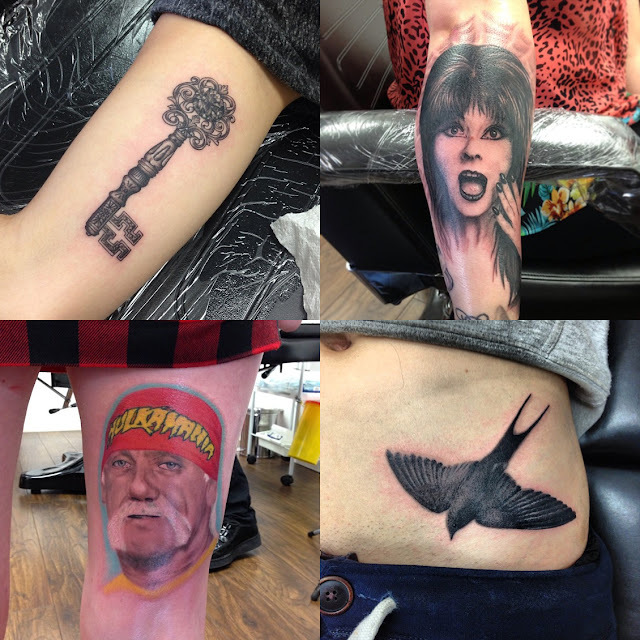 Top Tattooists - James Graham of Twit Twoo Tattoo, Edinburgh - Sugar, Darling? This week's Top Tattooist feature is on a cheeky little fella I know named James Graham who luckily is one of my boyfriend Pete's very best friends. 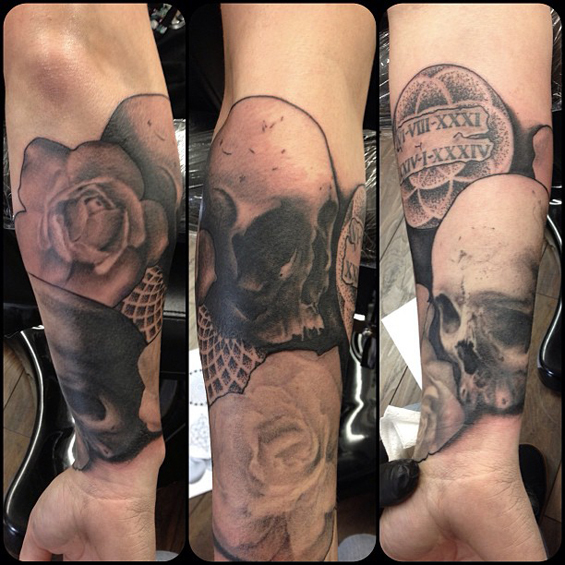 I'm yet to get a piece by James although he did quite a lot of work on Pete's sleeve a good few years ago, but we are both clamouring to get him to do more work on us - it's just a shame he has now moved up to Edinburgh! You can find him at a lovely little shop called Twit Twoo Tattoo and if you are looking for an amazing portrait or realism artist I would highly recommend you pay him a visit. 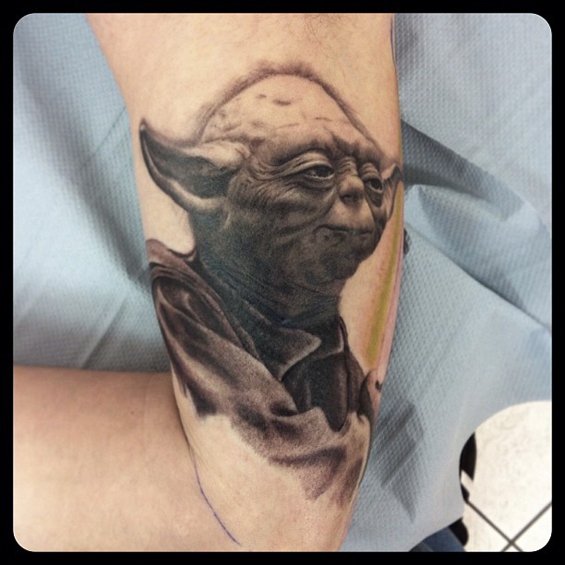 As you can see from all these images James has a fantastic eye for detail and has an incredible talent for reproducing texture and depth which is oh so important in creating a beautiful portrait piece - the Yoda above is so wonderfully replicated it looks almost three dimensional! If you enlarge the image above you'll see the breathtaking detail in the cut gem adorning the key and all the dot work in the swallow showing that James can turn his talents to something more abstract as well. Naturally I love the Elvira (she is mega fabulous after all) and can you believe the Hulk Hogan was his first colour portrait? There are a lot of self proclaimed portrait artists out there that aren't that good after decades in the trade. This one blew my mind when I saw it on James' Instagram, you feel like you could just reach out and pick up one of those diamonds they're so precise. Again his talent for texture comes through - if you compare the surface of the skull with the roses you can immediately see that the flowers look soft and fluid whereas the skull is worn and uneven. 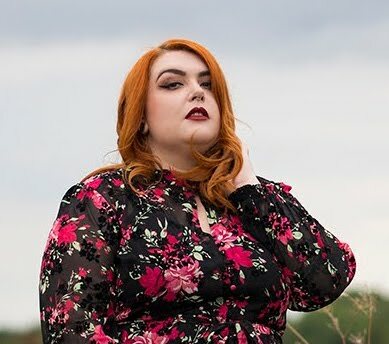 Naturally it wasn't long before James' work was featured in a magazine. 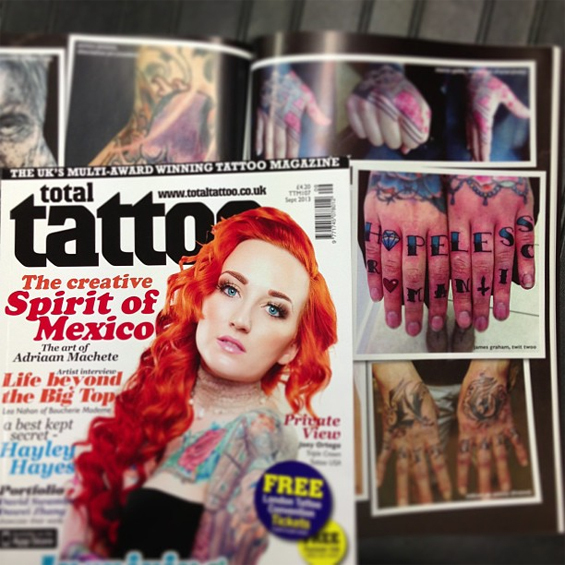 Total Tattoo is one of my favourites from the giant array that are available at the minute so I was really happy when he let us know he was to be featured in there. Disclaimer - James doesn't wear a dress to work every day, he was unfortunate enough to lose a bet and this happened. Boy I hope he still let's us stay with him and his gorgeous fiance Anne when we go up in October! 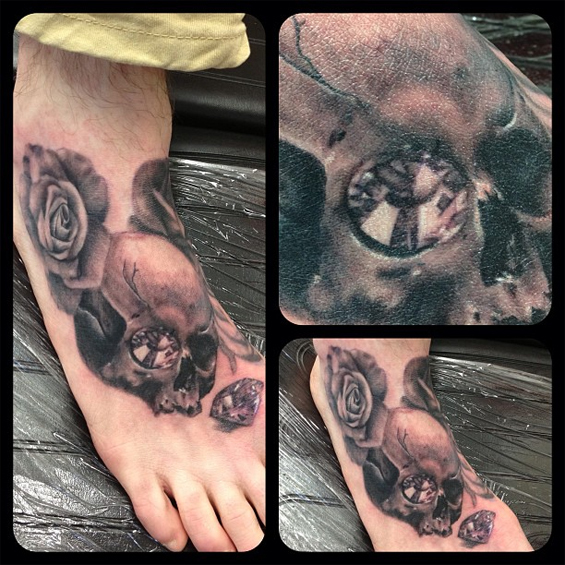 Pete and I just can't wait to visit in October, hopefully we'll be able to find time to get some new work from James. Pete wants to go for a Johnny Cash portrait and I'm trying to decide between Vincent Price or Lucille Ball! Decisions decisions!